Select the Add Post button. 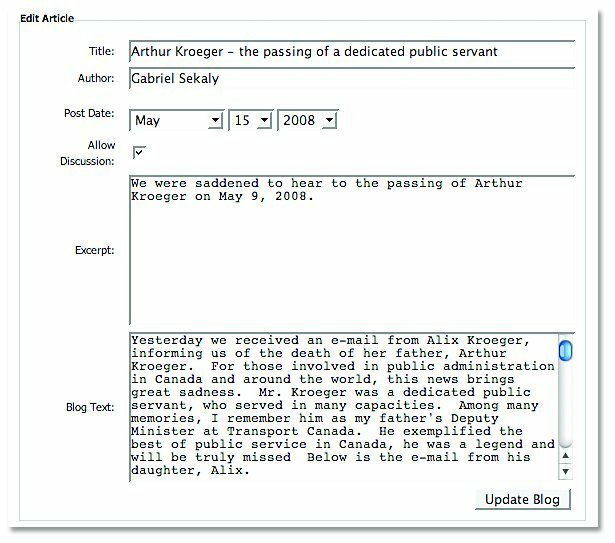 Enter in your Title, Author, Post Date, Excerpt and Blog Text into the provided fields. If you would like people to be able to post comments on your Blog, select the Allow Discussion button. Select the Add Blog button. Select the Delete button beside the blog you wish to remove. Select the Edit button beside the blog you wish to edit. 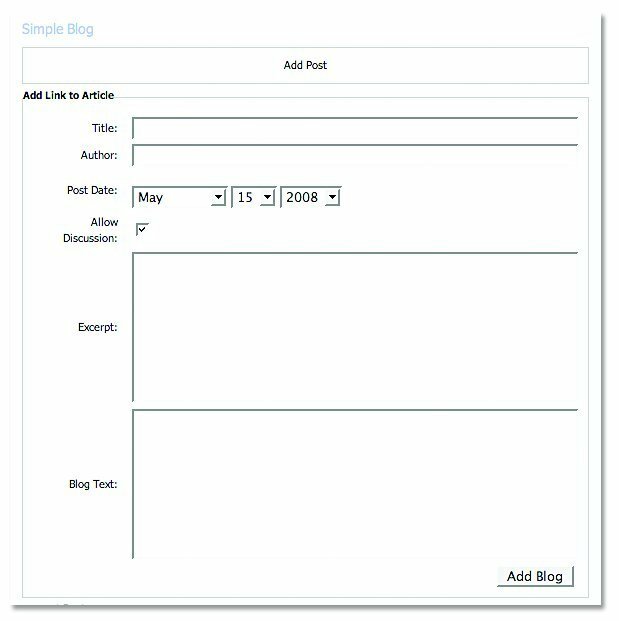 Make the changes you require to the blog fields.